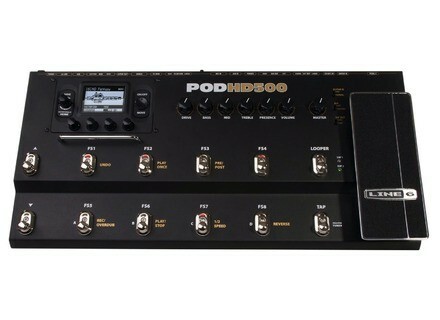 POD HD500, Guitar Amp Simulation Pedal from Line 6 in the POD Live series. Line 6 say they scoured the globe for the "16 vintage and modern amps every guitarist will covet." "Full-bodied California cleans, dynamic class-A breakup, searing high-gain tones" - POD HD showcases them in HD. For further details, visit line6.com/podhd. Gibson Learn and Master Guitar DVD Gibson’s Learn and Master Guitar DVD is a 20 DVD collection set including lessons, 5 play along CDs, a lesson book and access to an online communication forum.